Welcome to Elite Hair Restoration one of the UK's leading hair transplant specialists. one of the UK's leading hair transplant specialists. 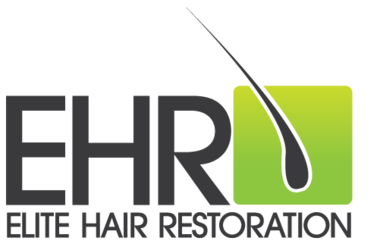 With clinics across the UK & Abroad, we at Elite Hair Restoration pride ourselves in providing a full hair restoration service to our clients from offering a wide range of non-surgical hair loss treatments right through to full hair transplant surgery. Our hair transplant surgery costs are some of the most competive in the UK & with no hidden extras. We can also arrange Finance for Hair Restoration patients with packages from 6 or 10 months 0% or 1-5 Years (interest bearing). We are committed to providing unparalleled excellence in our service throughout the patient's entire surgical journey from pre-operative care to post-operative follow-up care and support. We also 'Chaperone' our patients on their Surgery Day, so your personal Patient Advocate will be with your from intial enquiry, consultation, surgery day and for 2 years after your procedure. Why would you choose a hair transplant procedure? Facilities nationwide - clinics near you! 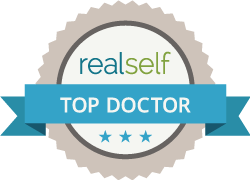 Our Surgeons are all highly qualified UK Surgeons, Registered with the General Medical Council (GMC) and are highly trained specialists in both FUT and FUE Hair Transplant Surgery and have been performing this surgery for many years. At all of our clinics nationwide, we provide a bespoke & dedicated hair loss experience which offers a range of both surgical and non-surgical options for hair loss and thinning hair patient, both Male & Female. We specialise in both Follicular Unit Extraction (FUE) and Follicular Unit Transplant FUT). We can also offer ARTAS Robotic FUE Hair Transplant Surgery and Scalp Pigmentation (SMP). With new surgical techniques the procedure is recognised as a minimally invasive procedure. Our range of solutions allows us to support our patients who are in the early stages of thinning or are significantly bald. Do you want to restore your hair line? Do you want a healthy looking head of hair? Do you want a permanent solution to your hair loss that lasts a lifetime? If you have answered YES to any of these questions then a Hair Transplant is for you! The process starts with a FREE Consultation that will include an honest appraisal of what you can expect to achieve from your chosen surgery. GET STARTED WITH 0% INTEREST FREE FINANCING Enquire About Our Finance Options.